Oh Just Duckie 3.25" Ceramic Salt & Pepper Shakers. Features a magnetic insert to hold the two shakers together. Don't be a quack! 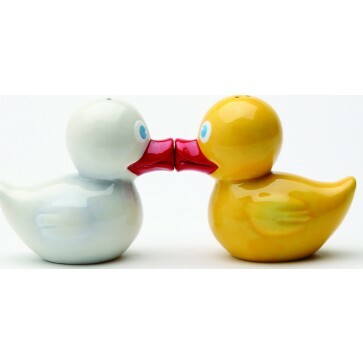 Get the Oh Just Duckie 3.25" Ceramic Salt & Pepper Shakers. Features a magnetic insert to hold the two shakers together. Perfect for any duck lover!